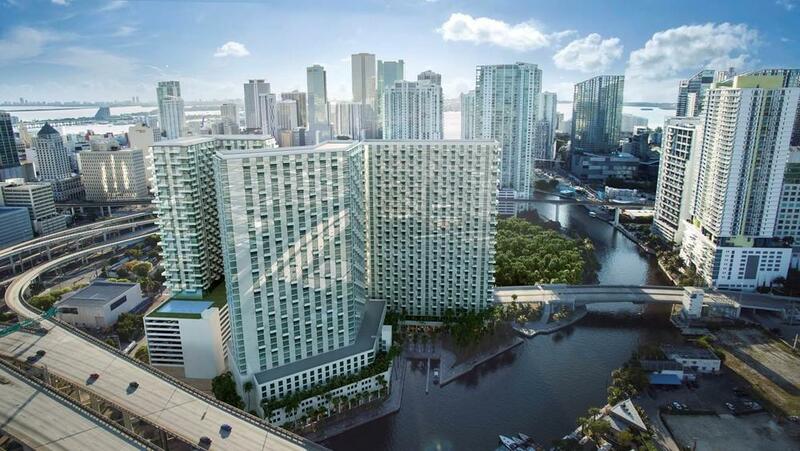 Last month, two bids were submitted for Miami Riverside Center from Adler Group and Panther Capital. One of plans by Adler Group has been revealed by The Next Miami. Adler Group wants to tear down the existing Riverside Center and replace it with apartment towers called Nexus Riverside Central. Nexus Riverside Central would consist of two 36 story rental towers with 900 units, 150 hotel rooms and 20,000 square feet of retail/restaurant space. As part of the deal, the City of Miami would get a 3% revenue over a 90 year lease. Adler Group would also combine the two apartment towers with land they purchased next to Riverside Center in July 2015 to build Riverside Tower. As part of the proposal, Adler Group would help the City of Miami finance a new office building at 375,000 square feet. Locations include next to Marlins Park and near the Lyric Theater in Overtown.